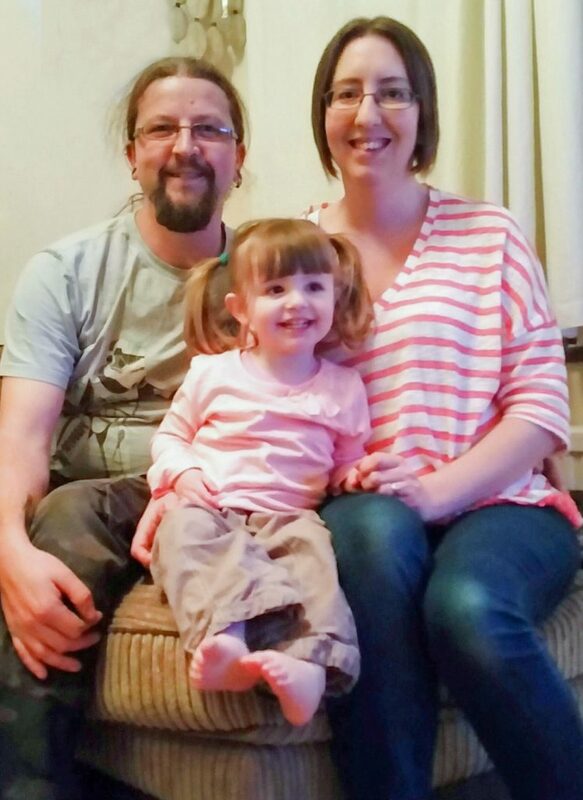 It was her new partner that encouraged Michelle to try IVF after ectopic pregnancy. After 12 years of trying for a baby Michelle, from Suffolk, had been through so much – she lost numerous natural pregnancies and her first marriage failed under the strain. Fortunately, when she met Alastair he gave her the support she need to try one last time. Having lost four natural pregnancies during her previous marriage, Michelle (now 34) knew that she had a fertility issue when she got together with Alastair Rose (34) in 2007. After two months together Michelle unexpectedly fell pregnant but again miscarried a few weeks later. She says: “It was a very traumatic experience for Alastair and me. I found myself questioning our situation and wondering ‘why me?’. The GP explained that as Michelle had been able to conceive naturally it would take three years before the couple could be referred for fertility treatment. During their three year wait, Michelle lost two further natural pregnancies. Finally, in 2010, Michelle was referred for investigation at a London hospital. Tests revealed that her one remaining functional fallopian tube was damaged and that all her miscarriages, which had happened within 11 weeks, could in fact have been ectopic: when a fertilised egg implants itself outside of the womb. There is a risk with an ectopic pregnancy that if the fertilised egg continues to grow it can cause the fallopian tube to split open (rupture) and cause internal bleeding. However no conclusive reason was given and the couple were told their only way to have a baby was by IVF. The couple were referred for NHS funded IVF and chose Bourn Hall’s Colchester clinic. The Roses started their fertility treatment in January 2011. Michelle was prescribed a course of medication to help stimulate her ovaries. In early April, 18 eggs were collected but only one embryo made it to day five. This one fertilised blastocyst was carefully put into Michelle’s womb. Two weeks later Michelle took a pregnancy test, which revealed she was pregnant. Unfortunately she started bleeding three days later. It turned out she’d had a chemical pregnancy, which is when a fertilised egg does not attach itself to the uterine wall. “This was the first time I ever felt like giving up as I had been at this stage naturally. In September 2011 the couple started their second cycle of NHS funded IVF and on a slightly different treatment plan, to try and improve the quality of the eggs that Michelle produced. On 21st November nine eggs were collected from Michelle. Five days later she returned to the clinic to have two blastocysts transferred. Michelle then had to wait two weeks before taking a pregnancy test. “The test revealed I was pregnant but I wasn’t sure as I didn’t feel pregnant. “When we went for the first scan I was delighted to know they could see a healthy baby inside me and in the right place! The pregnancy was going well until at 32 weeks Michelle started to develop high blood pressure and swelling of her legs. She was diagnosed with preeclampsia and following a scan at 34 weeks taken into hospital. The medical team hoped to help Michelle keep her pregnancy until 37 weeks but unexpectedly she lost her waters at 35 weeks and needed an emergency C-section. On 9th July 2012 baby Isobel Phoenix Rose was born. “She’s absolutely brilliant! I’ve always wanted to be a mum and although it’s taken 12 years of trying Isobel has certainly been worth it. “Alastair has been great, and although nervous to begin with, he was actually the first to feed her and change Isobel’s nappy. Bourn Hall provides independent counselling for all patients – read more here.